“Title only” service–no license plates issued. 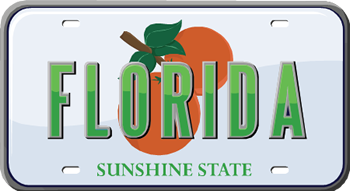 Out-of-state titles transferred into Florida—-New or used, vehicles or vessels. Mobile home and RV transfers. Vehicle Registration-auto’s, trucks & motorcycles-new or used vehicles. Vessel/boat/yacht registrations-new or used vessels. Registration renewals (**)–vehicles or vessels. Personalized/customized license plates. 2-3 months for delivery, custom made by the state of Florida. Boat, Utility, and Travel Trailer tags and registration-New and used trailers.